Anyone else feel overwhelmed when it comes to making your guests feel at home? Why not try these easy tips to make your guests feel welcome! Being hospitable isn’t something that has come naturally for me like I had hoped it would. I love and enjoy people, so somehow it just seemed like making guests feel welcome should be easy. And when it wasn’t, it caught me off guard and left me rather surprised. But I believe that hospitality is important and I’m finding that it’s definitely one of those things that gets easier the more I do it. 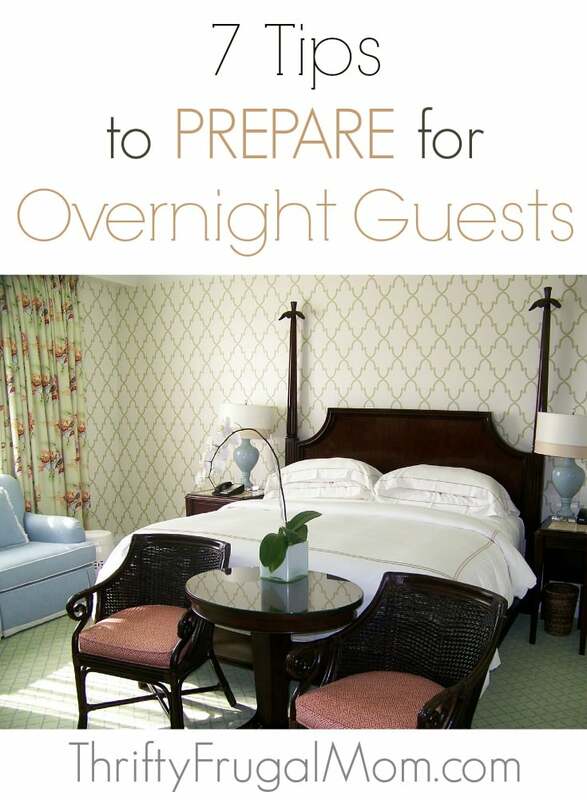 Maybe you are like me and find hosting guests, especially overnight guests, a little daunting! Take heart, it really doesn’t have to be totally overwhelming. With a little planning and preparation, it can actually feel very manageable and even fun! We semi-frequently have overnight guests and even though we live in a small house and our guest room also doubles as office and storage space, I still enjoy trying to provide as much of a Bed and Breakfast experience as possible. I rarely pull everything off flawlessly and I’m finding that having 3 children makes this much more challenging! But I keep trying and learning! Little touches can go a long way in making even not-so-nice spaces a bit more welcoming. A vase of flowers on the dresser, a welcome note for your guests saying how much you are looking forward to hosting them, a couple of chocolates on their pillow, even a bottle of water and a small snack such as a granola bar are nice! None of these things that take a lot of time or money, but they let your guest know that you anticipated them. Have towels and wash clothes in the room or make sure guests know where to locate them and where to put them when they are done using them. If you have wifi, provide the password for their use. Place some extra pillows and blankets on the bed- everyone has different comfort levels and what you might think is enough actually isn’t! You may even want to have a note pad and pen in an obvious spot in case they need them. It makes it easier for you and your guests if you can clearly communicate your expectations. Talk to them about what time would work well for meals. Let them know of any plans that you have for when they are there. Find out what their expectations are of your time together- are there places they want to visit, things that they need to do? Will they need to do any laundry? Even something as simple as finding out if they prefer showering morning or evening and then talking about what times would work best is helpful. Because if you are like me, you find it much easier to relax and just take your time if you know that you aren’t taking up your hosts’ usual “shower slot”! Kids don’t just automatically know what is appropriate and inappropriate to do when there are guest around, it’s something they learn! Before your guests arrive discuss the your expectations basics with your kids. Explain how important it is to respect your visitor’s privacy. Remind them that other people’s personal things are not for them to mess with or use. Explain that they will need to be more quiet during the times when your guests are resting. It’s also great if you can include them in helping to get ready for your guests. Encourage them to think about ways that they can make your guests feel welcome, especially if there are other kids. Obviously, kids will be kids and even with prepping there will still likely be moments that aren’t ideal. But I’m always amazed at how much more smoothly things go when we make our expectations clear ahead of time! You’ll save your self a lot of stress if you keep meals and activities very simple and basic. Realize that just by having other people around, you will not get as much done as you usually do. For myself, I find that the more work I can do ahead of time to prepare for our guests, the more I feel free to just relax and enjoy them, which is what I really want to be able to do anyway! Plan out your meals and do as much meal ahead of time as possible. Think of other things that will help you be less busy such as getting all the laundry caught up or doing your weekly errands/grocery shopping before they arrive. You don’t need to keep your house spotless while you have guests- obviously you are living in it and there will be dirt. Besides, if you have kids it’s pretty much impossible to ever have a spotless house! 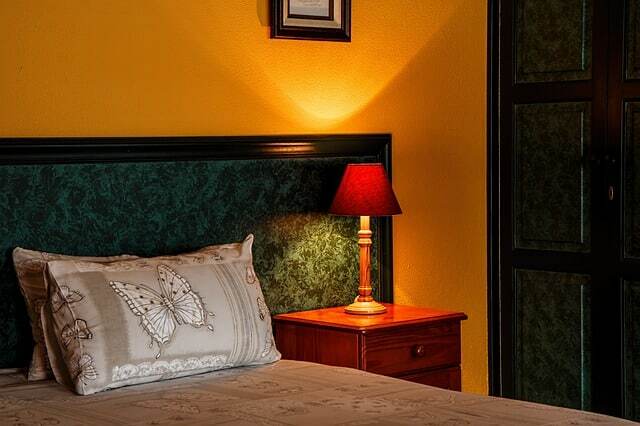 But you do want your home to be welcoming and a place where your guests feel comfortable and relaxed. After our guests go to bed, I do a quick walk-through of the main living areas and make sure that everything is in it’s place. If needed, I’ll grab a broom or the vacuum and sweep up the worst of the dirt. I also make sure any shared bathrooms have clean sinks. Actually, I often kind of keep my eye on this throughout the day too because I just find splashed up, dirty bathroom counters gross. More than anything, relax and just enjoy your guests! As hard as you try, everything won’t go perfectly. There might be flopped recipes, late meals, embarrassing moments and unruly children. But stay calm, smile, laugh and keep focused on enjoying your guests. Because if you can stay relaxed, your guests most likely will too! What are your favorite ways to make guests feel welcome?